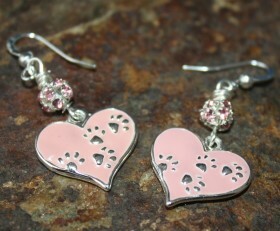 These beautiful pink earrings have pink heart with paws on it accented by pink Swarovski pave crystal. 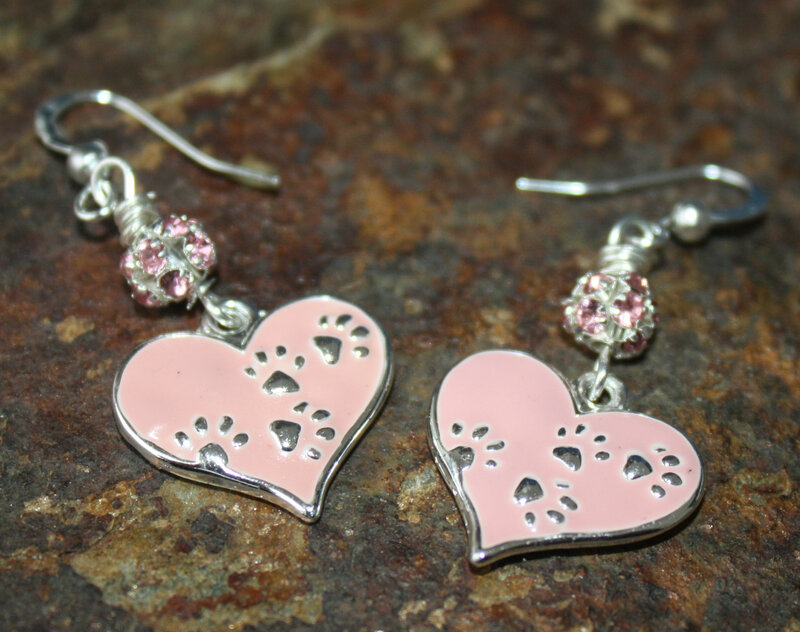 The back of the heart is silver with paws. Great way to show your love for dogs and look good.